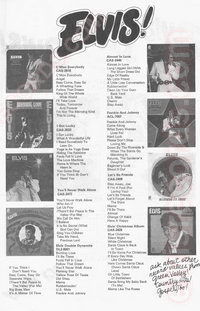 This is a double-sided one-page flyer that measures 13 3/4" x 8 1/2" in size. It had fallen out of a record cover that I had recently acquired. 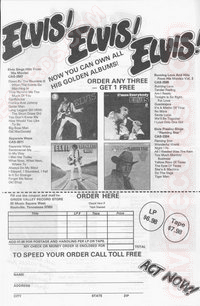 It is an advertisement for the entire Pickwick line of Elvis Presley albums, totalling 12 titles. 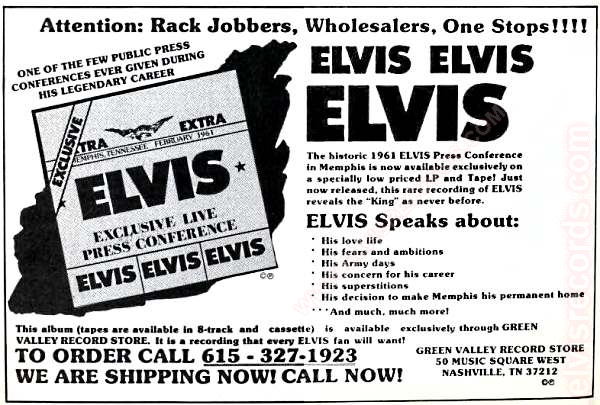 It is a custom ad provided by Green Valley Record Store of Nashville, Tennessee. This illustrates a time when one could buy any three and get one free at just $6.98 for LP or $7.98 for tape. This is the same Green Valley Record Store that is responsible for a couple of bootleg titles. 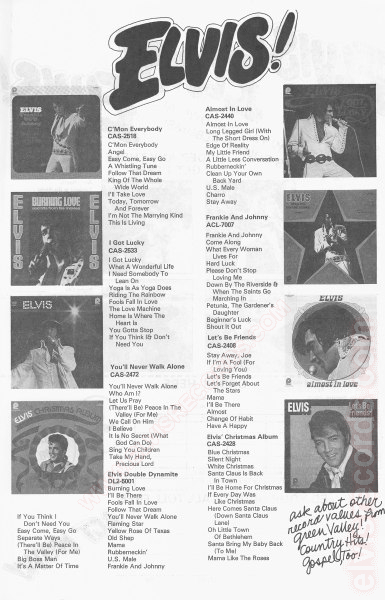 Here is an advertisement from Billboard, October 8, 1977, page PT51.